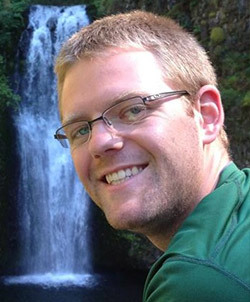 Casey Crane has been in the Eugene area since 2007 where he joined the University of Oregon School of Music and performed in the renown Oregon Percussion Ensemble. During his time there he earned Bachelors degrees in percussion performance and music education as well as a Masters in music education. While at the U of O, Casey spent five years as a member of the Oregon Marching Band and Green Garter Band, becoming the drumline’s section leader in the 2010 and 2011 seasons. In 2009-2011, he marched with the Oregon Crusaders Indoor, including the group’s “Red Shoes” production where he led his section to a world-class finals placement at WGI. Casey has been at the Alan Keown Drum Camp since 2011 and now teaches middle school band at Prairie Mountain, teaches/performs in the Eugene area, and directs the Willamette High School Winter Percussion ensemble.